Hometown: Saint Cloud, Minn. – Walnut Creek, Calif.
Accolades: Director on the creative team of SEAN JOHN, winner of the CFDA Menswear Designer of the Year Award 2004, contributor to bottle/package design and scent development of UNFORGIVABLE, the 2006 winner of the prestigious FIFI Award for Men’s Fragrance of the Year. Fave bars and restaurant in Athens: Crickets (lemon pepper wings), Bone Island Grillhouse (salad), Five Bar (grouper), Zoës Kitchen (Ya Ya’s chocolate cake), Keba Spitfire Grill (chocolate chip cookies). 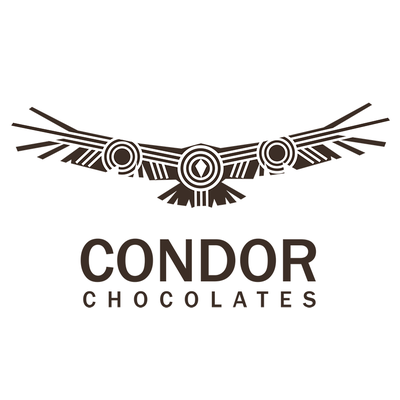 Fave shops in Athens: Condor Chocolates (everything), The Athlete’s Foot, (exclusive sneaker releases), UGA Bookstore (NIKE gameday gear), Athens Interiors (Trapp candles). My Saturday is a constant never-ending unbeatable battle with time! The closest and most accurate typical game day would be … landing in ATL from either a red-eye or 5-6 a.m. flight from the previous days prep work or photo shoot. Once I hit the ground I’m literally running and race against the clock to get home to take Harper and Saint to their 8:30 a.m. flag football practice or game. Between the hours of 9 a.m. -2 p.m. I’m usually intermittently on a FaceTime call with a wardrobe assistant, photographer or client virtually styling a shoot that is concurrently happening in a different city. Atticus also has football games each Saturday afternoon in which Harper is also a cheerleader for so we are driving across one to three counties to make that happen. One of my favorite things to do on game day but sadly miss or only catch the last 20 minutes of is the UGA Coaches Wives Football Family Tailgate. Regretfully we miss the #DawgWalk but fortunate to be able to go on the sideline before each game so the children can hug their dad, high five the other coaches and fist pump their favorite players during warm up. We head to the West End Zone recruiting lounge for a few minutes before taking our seats to cheer on our Bulldogs! After the game, we head home and my 7-year-old and I re-watch the game with less trepidation and more certainty of a W.
Fave mascara: No mascara is necessary with my mink eyelash extensions by Tammy McCloud of iLash Perfection. Fave skin care line: AVAinfuse Omega Nourishing Creme, AVAinfuse Green Tea Cleanser, AVA MD Bio-Restorative Night Creme, SkinCeuticals Phloretin CF HydroPeptide Power Serum. Fave hair product: Komenuka Biijn Moisturizing Hair Shampoo & Moisturizing Hair Treatment, Mason Pearson Hairbrush in Nylon, Maaon Pearson Rake Comb. Product you can’t live without: Marvis Toothpaste in Amarillo Licorice, Creed Millisime Imperial Fragrance, Tocca Crema da Corpa body in Cleopatra, Becca Sunlit Bronzer in Ipanema Sun. Best budget buy product: Soothing Touch Lip Balm in Coconut Lime, Dr. Bronners 28 in 1 Peppermint or Lavender, Pure-Castille Soap, Bio-Oil Skincare Oil, Camille Rose: Orange Honey Bath Elixer. Biggest product splurge: Natura Bisse Diamond Body Creme, T3 Cura Luxe Hair Dryer, Simple Human Sensor Mirror Trio. Fave fashion designer: Anthony Vaccarello for Saint Laurent, Alexander Wang, John Hoke for Nike. Fave interior designer: Leo Marmol, Ron Radzinger. Fave jeans: R13 Kate or Alison skinny. Fave tee: Madeworn, Current Elliot. Fashion idol: Kate Moss! Kate Jackson, Farrah Fawcett and Jaclyn Smith in the original Charlie’s Angels. Fave flower: The scent of tuberose, jasmine and gardenia (5. ), the symbolism of a Japanese lotus, the resilience of an orchid. Fave accessory: Cartier Love bracelet in yellow gold – I’ve only removed it three times in 16+ years . Who inspires you? My three children inspire me on a daily basis in so many ways. Atticus for his curious and comprehensive mind. Harper for her fierce, tenacious yet sensitive heart. Saint for his humorous, jubilant and light hearted spirit. Fave blog: Lifehacker.com, Highsnobiety.com, Hypebeast.com. Fave instagramS: @baddiewinkle, @ericripert, @natgeotravel, @squats. Fave magazine: Psychology Today, Scientific American, Travel + Leisure, Saveur, W, Porter. Fave book: “To Kill a Mockingbird”, “The Great Gatsby,” “The Count of Monte Cristo,” The Holy Bible (The Book of Exodus) (The Book of Daniel). Fave song: I’ll Find You by Lacrae (feat.Tori Kelly), You Say by Lauren Daigle, The Monster by Eminen (feat, Rihanna), Dusk Till Dawn by Zayn (feat Sia), Different by Micah Taylor, Set Fire to the Rain by Adele, Viva La Vida by Coldplay. Fave artist: Jean-Michel Basquiat, Yayoi Kusama, Takashi Murakami, Salvador Dali.